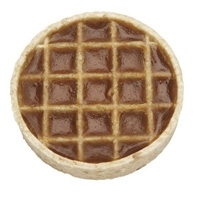 TummyLove is a belly-licious guilt free treat that is wheat free, corn free and soy free. TummyLove has an irresistible peanut and carob flavor without adding salt, sugar or gluten, making it an excellent every day low fat treat. 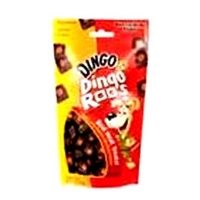 Dingo's Dingoroos are soft chewy treats your dog will beg for! 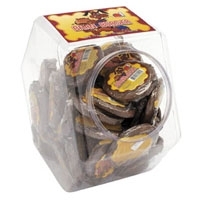 These treats have jerky in the center with a chewy outer shell. 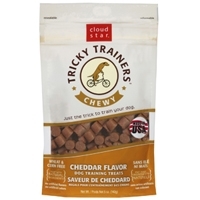 Perfect for training or for special snacks! Dingo Flavor Blasts Sweet Potato Mini 3.2 oz. 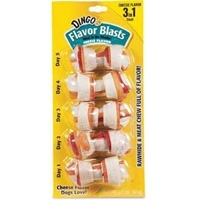 Dingo Flavor Blasts Sweet Potato Rawhide Chews are 3-in-1 tasty rawhide chews. 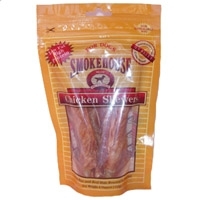 Made with a real chicken middle wrapped with sweet potato flavored rawhide and made with high quality ingredients. An ideal treat for small sized pets. 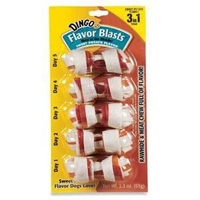 Dingo Flavor Blasts Cheese Mini 3.2 oz. Dingo® Indulgence™ Rawhide Chews are the ultimate delight your dog will love! 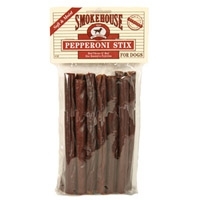 Premium rawhide and Real Meat are wrapped together and dipped in a decadent artificial cheese flavor coating to create a rich treat unlike any other. 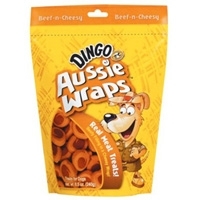 Dingo Indulgence Meat in the Middle Chews are full of flavor. 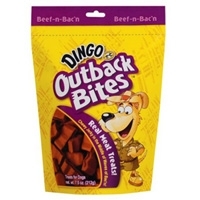 So indulge your dog with the irresistible taste of Dingo! Dingo Flavor Blasts Bacon Mini 3.2 oz. 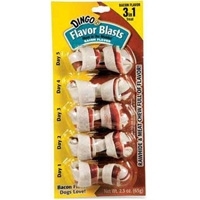 Mini Dingo® Flavor Blasts™ are 3-in-1 Goof Balls tasty treats with Real Meat in the Middle™. The delicious combination of Real Meat wrapped in bacon-flavored rawhide, and wrapped again in natural rawhide gives dogs a chew that’s blasting with flavor! Dingo Flavor Blasts are made with only high-quality ingredients and are specifically sized to give small dogs a fun and delicious treat they can’t resist. 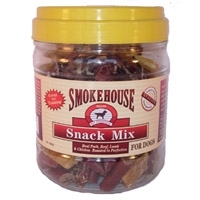 With Smokehouse Chix Mix™, your dog gets to enjoy a multitude of flavors all in one bag! 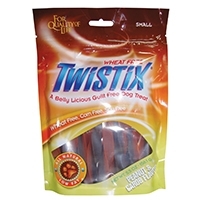 We have four of our best selling chicken treats in the mix for those dogs who like a little variety. There's our Poppers™, Chicken and Sweet Potato, Chicken Breast Strip Snacks and to finish it off our Chicken Chips. What could be better than four great treats in one. 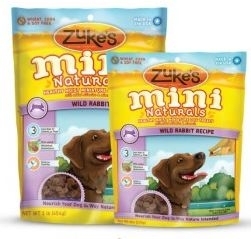 It's a "Trail Mix" for your dog! Product of China. Lab Tested in the USA. 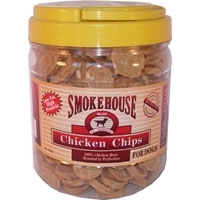 Smokehouse Chicken Chips are a 100% natural treats that your dog can really enjoy! We use only the finest quality chicken so that they are low in fat and high in protein. Then we roast them to perfection for that true chicken taste that dogs love. 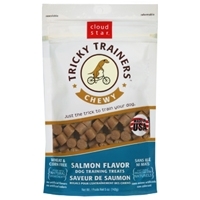 Small or large these are the perfect treat for all size dogs. great to use as a training aid too! Product of China. Lab Tested in the USA. 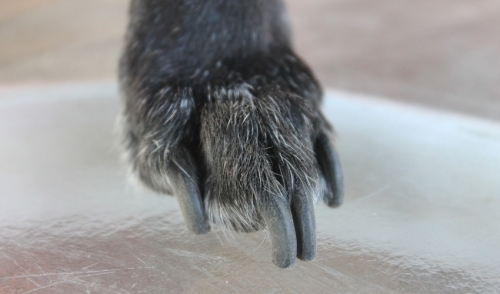 Chicken has become today’s trendy treat for dogs. 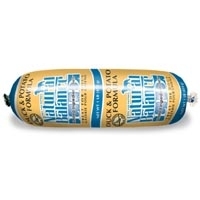 Made of 100% natural chicken breast, they are high protein and low fat. 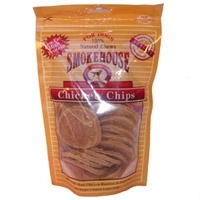 Smokehouse variety will appeal to many different customers. 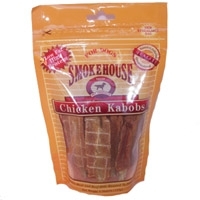 Smokehouse Skewers are made from a chicken breast wrapped around a rawhide stick. 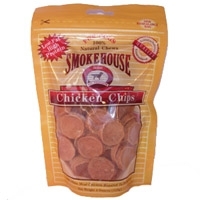 Smokehouse Chicken Chips are a 100% natural treats that your dog can really enjoy! We use only the finest quality chicken so that they are low in fat and high in protein. Then we roast them to perfection for that true chicken taste that dogs love. 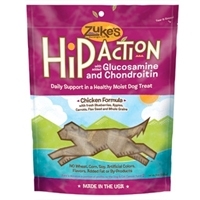 Small or large these are the perfect treat for all size dogs. great to use as a training aid too! Share your passion for bacon with your dog! 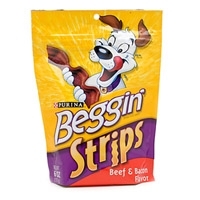 Beggin' Strips Beef and Bacon look, taste, and smell like real Beef and Bacon, but theyre made especially for dogs. Theyre also a healthy choice because Beggin Strips are low in fat. 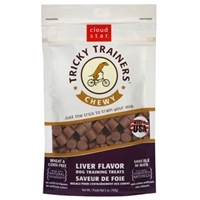 So you can give your pooch a reward for good behavior without feeling guilty about overindulging.